Elizabeth is rescued from penury to become the childhood playmate and companion of Victor Frankenstein. With good sense and resourcefulness, Elizabeth knows it is vital for her to be unfailingly loyal to her benefactor. Without him, she will be back out on the streets. And while the role of faithful companion comes easily, it is not without challenge. Victor is emotionally unstable and prone to "fevers" and sadistic fancies. Keeping those things secret is crucial to prevent him from being institutionalized (a matter that Elizabeth realizes would directly affect her place in the Frankenstein household). Victor's lapses of sanity become more pronounced as he grows up and Elizabeth's ability to control him less and less effective. Behind them is something dark. 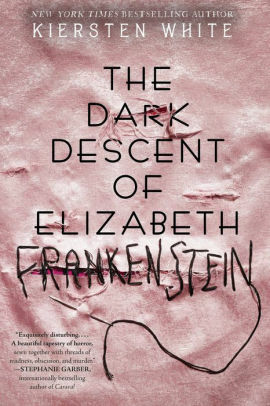 People begin to disappear, body parts reappear, and a monster that pursues her and the rest of the Frankenstein family enters their life. By the time Elizabeth realizes the nature of the monster that has been created, it is all very much too late. In this studiously fine crafted period piece, White has rewritten Mary Shelley's classic from the perspective of the female characters in the novel -- characters to which Shelley herself never gave much attention. There is some speculation from the author that Shelley might have done it this way in a more enlightened time, but that is a moot point. What is striking is how well the rewrite actually works. Having familiarity with both the life of Shelley and the original novel, I appreciated her nods to both of them. But without that knowledge, this is still a fine story, written convincingly in the style of the original. Creepy, romantic, and natively gothic.